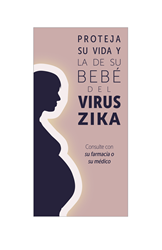 Online displays and a microsite complement radio messages that launched last week, encouraging women and their families to seek advice from physicians and pharmacists about ways to protect themselves and their unborn children from the effects of Zika. The radio and online messages share the same goal: to help educate and empower women in Puerto Rico and their families about where they can turn to help protect themselves and their unborn children. As part of a Zika education initiative in Puerto Rico, the National Association of Chain Drug Stores (NACDS) Foundation today launched an online presence that will complement radio messages that began airing on Monday, May 9.